Prior to the widespread adoption of the EN testing standard for sleeping bags, manufacturers assigned temperature ratings to sleeping bags based on their own testing methods and standards—which included everything from sleeping in a meat locker to real-world testing experience. Because of the variation in different brands’ testing methods, which produced ratings ranging from conservative to inflated, these in-house ratings were at best a rough guide for picking the right sleeping bag, and they made it nearly impossible to reliably compare sleeping bags across brands. Fortunately, nearly all major sleeping bag manufacturers have adopted the EN testing standard in recent years. Because these tests are conducted by a third party in internationally certified labs using standardized testing methods for each bag, the resulting ratings serve as a fairly accurate guide to what temperature range a sleeping bag is best suited to perform in. More importantly, this standardized testing allows you to reliably compare sleeping bags across different brands, helping you pick the perfect bag for your next excursion. When looking at EN temperature ratings, there are two main numbers you’ll want to look for and consider— the EN comfort rating and the EN lower limit rating. The bag’s comfort rating indicates the lowest temperature in which the average woman will sleep comfortably in that bag. The lower limit rating indicates the lowest temperature in which the average man will sleep comfortably in that bag. If your camping adventure involves snow and ice in any way, this is most likely the category you’ll want to select a sleeping bag from. These bags will typically feature down insulation, a high fill value, and draft eliminating features like zipper baffles and collars. Multi-day ski tours, mountaineering expeditions, and winter camping trips are all activities that call for a sleeping bag in this temperature range. 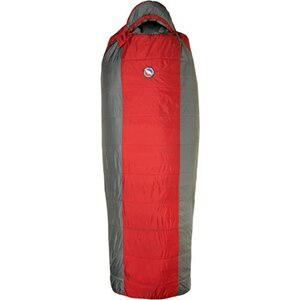 Sleeping bags in this category can rightly be called &apos;three-season bags,&apos; providing more versatility than any other category. Whether it&apos;s a car-camping getaway in early spring, a summer backpacking trip in the alpine, or a multi-day bike tour in the fall, this is the temperature range you’ll want to select from when choosing a sleeping bag. For summertime backpacking and camping adventures at low to moderate elevations, you’ll want to choose a sleeping bag rated in this temperature range. 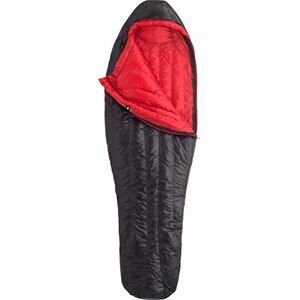 Because these sleeping bags don’t require as much insulation or as many heat-saving features to achieve the desired temperature rating, they’ll typically be lower in weight than their three- and four-season counterparts, which will make them easier to pack and carry on a backpacking trip. In addition to the weather, there are a number of other factors to consider that will affect the temperature rating assigned to your sleeping bag. 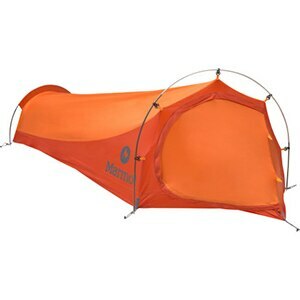 For instance, sleeping in a tent or bivy sack will add about 10 degrees of warmth to the rating assigned to the bag. The amount of clothing you wear will also affect how warm you will be. For reference, keep in mind that the heat-sensor mannequins used in the EN tests are clothed in one layer of long underwear and a hat. The insulating value of your sleeping pad can also increase how warm you will be. 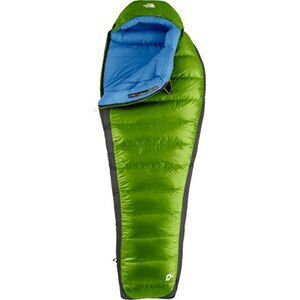 Many sleeping pads are assigned an R-value to indicate how well they will insulate you against the cold ground. In short, the higher the R-value, the better. When choosing a sleeping bag based on its temperature rating, it’s always best to air on the side of caution, especially if you’re a cold sleeper. Remember, it’s far easier to unzip your sleeping bag to reduce the amount of warmth than it is to try and increase the warmth by adding extra clothing or layers.